When Sweet Family Dentistry came to TIK:TALK they had nothing but a few name ideas for their dentist office. They were just starting out. We offered to do a whole branding workshop, starting from scratch with a photoshoot to be used on their website. 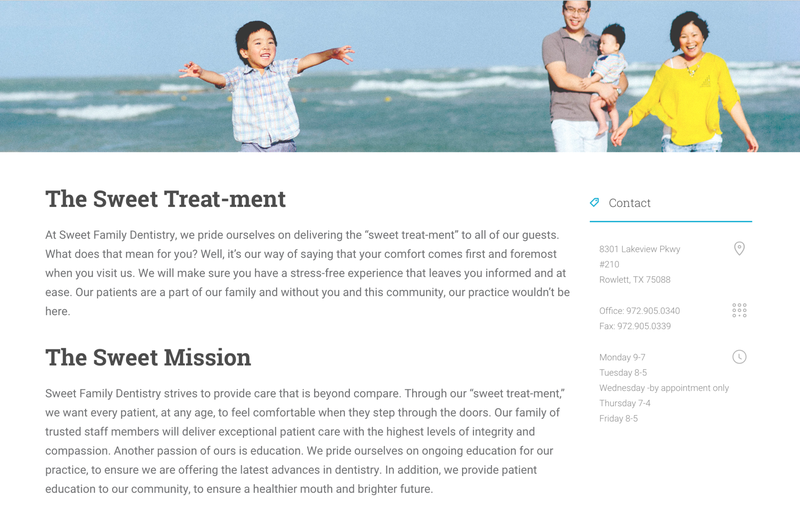 Sweet Family Dentistry loved the quality of their site in both looks and operation. 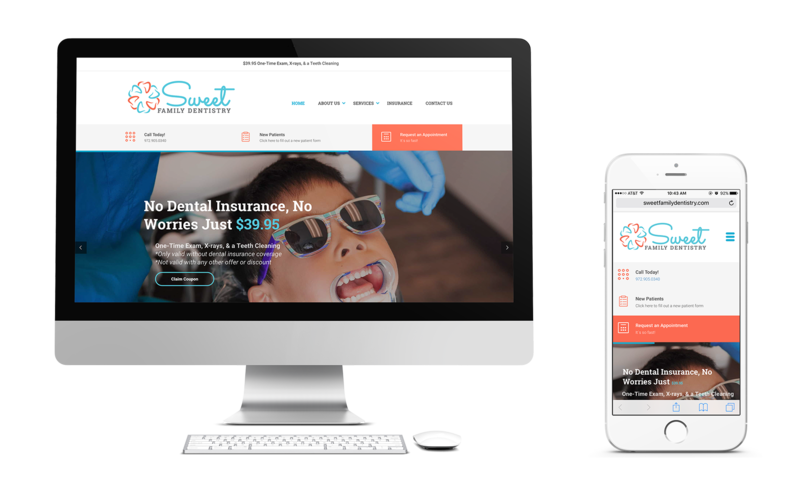 The site has helped elevate their “sweet treat-ment” and reinforce the quality of dental care they provide for families. 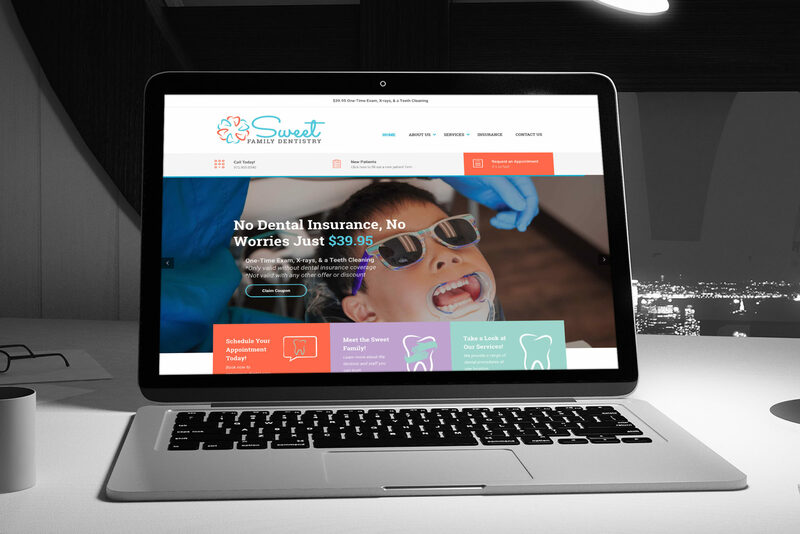 With attention to the tone of copy and the look of design, we were able to deliver a site that is removed from the typical stigmatism associated with dentist offices.